New Delhi : India all-rounder Hardik Pandya has deposed before the Board of Control for Cricket in India (BCCI) ombudsman and ethics officer D.K. Jain in Mumbai in connection with his controversial comments in a chat show. India opener K.L. Rahul is expected to depose on Wednesday morning. 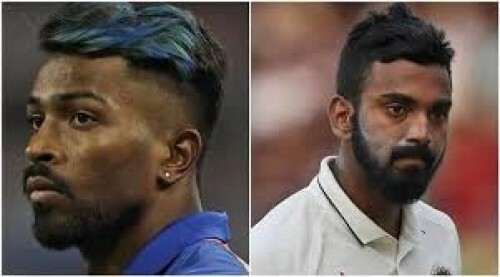 While Pandya is a part of Mumbai Indians in the ongoing Indian Premier League (IPL), Rahul is plying his trade for Kings XI Punjab and the two teams are set to face each other at the Wankhede Stadium on Wednesday. "While there is no timeline as such, but we are hopeful the ombudsman will submit his report on the duo before M.S.K Prasad and his team sits for the selection meeting in Mumbai on Monday. Nobody can read the mind of another individual, but the punishment cannot be bigger than the crime. Let's see what the ombudsman's report says about the two," the functionary said. Earlier, in his apology to the BCCI, Pandya had written: "I made an appearance on the chat show where I have made certain statements without realising that these could be disrespectful and offend sensitivities of viewers for which I am sincerely regretful. I would like to assure you that there was no malice or any sort of ill-intent on my part to offend anyone or portray any section of the society in bad light. I made these statements in the flow of the show and had not comprehended the extent to which my statements would be found offensive."